The photo editing app category is a playground of sorts, offering a different app for just about any photo editing need in the business. 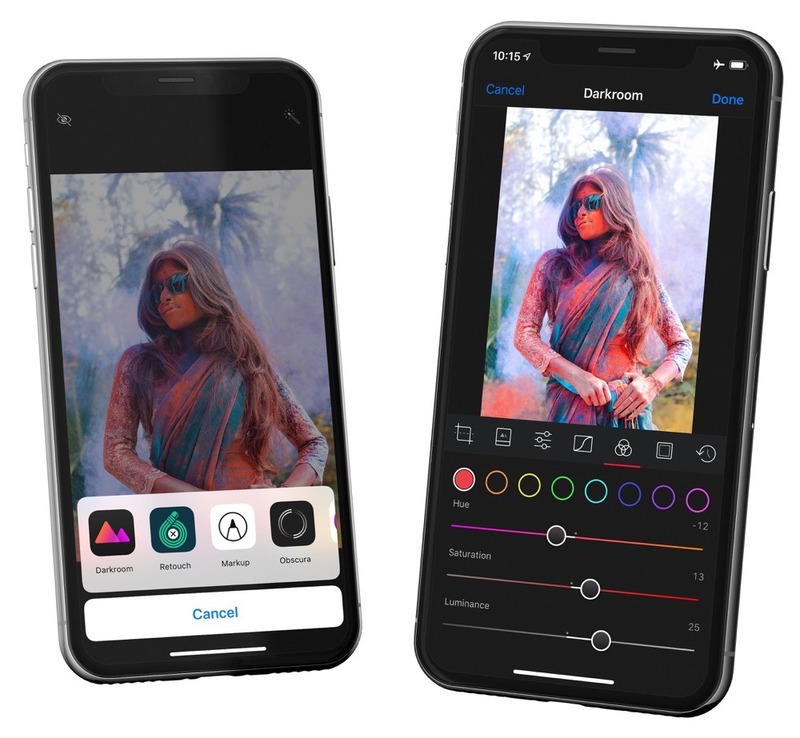 In general, we think Adobe Lightroom CC (and Lightroom Classic CC) are the best editing apps for the Mac, and, in the case of Lightroom CC, are the best cross-platform photo editing apps for iPhone and iPad as well. But Adobe Lightroom CC comes up short in some significant ways, mainly in the duplicity of your photo library and cumbersome workflows to get photos into Lightroom CC, especially on iOS. Because of this — and a few other specific reasons — we’ve long held Darkroom for iPhone (and now iPad) in high regard. Darkroom is the best photo editing app for iPhone because it takes Apple’s stock Photos app and builds it out in powerful ways. Darkroom 4.1 builds upon the core reasons why we have chosen to split apart our reviews for Adobe Lightroom CC and Darkroom. Where Lightroom CC is great for archiving, cataloging, and editing between the Mac, iPhone, and iPad, and the only real choice if you need to edit cross-platform, Darkroom continues to build out its iOS-specific features and continues to be the best app for replacing Photos on your iPhone and iPad. I fondly remember that quick Apple keynote segment where the presenter started in the Camera Roll and edited a photo inside VSCO all through iOS’s Share Sheet. That vision has never come to fruition, at least not until now with Darkroom 4.1. The latest Darkroom update allows you to edit your photos with Darkroom right within the Photos app. Live Photos can be edited and all the edits are made available immediately in the actual Darkroom app. Once you’re finished with the share extension, you can quickly tap Edit in Darkroom to shoot over to Darkroom, all without creating any duplicates. Perhaps one of the coolest Darkroom features on iPad is the ability to edit photos in Split Screen. I find this particularly handy if I’ve found a photo online that I’d like to emulate in my editing work. Split Screen editing begs for Drag & Drop support on the iPad, and Darkroom 4.1 delivers. Whether you store your photos in the Camera Roll, in Dropbox, in iCloud Drive, or you want to drag and drop something from the web, you can do so now with a tap, hold, and drag into Darkroom. 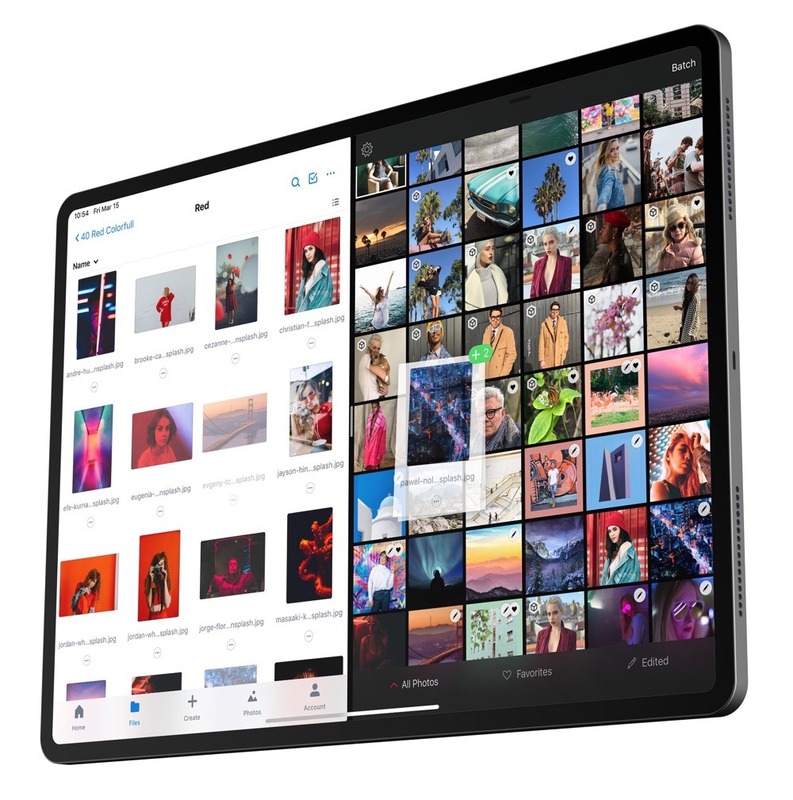 For those who use the iPad Pro as their main editing device, this also means you can use an app like Cascable (or any one of the first party camera manufacturer import apps that support Drag & Drop) to drag and drop photos directly from your SD card into Darkroom. Darkroom’s Album Picker now supports the Files app, allowing you to select photos from just about anywhere on iOS. Because Files integrates with Dropbox, iCloud Drive, OneDrive, Google Drive, and others, this opens up access to any third-party storage option. I find this feature particularly handy, as I use a rudimentary “holding” folder inside iCloud Drive for moving files back and forth between the Mac and iOS. There are many ways to do this, of course, but I like the ability to rename files and quickly be able to share those files to any app on the Mac or iOS without having to jump through hoops. Being able to bring files from my holding folder directly into Darkroom is extra handy and cuts out extra steps in my prior workflow. 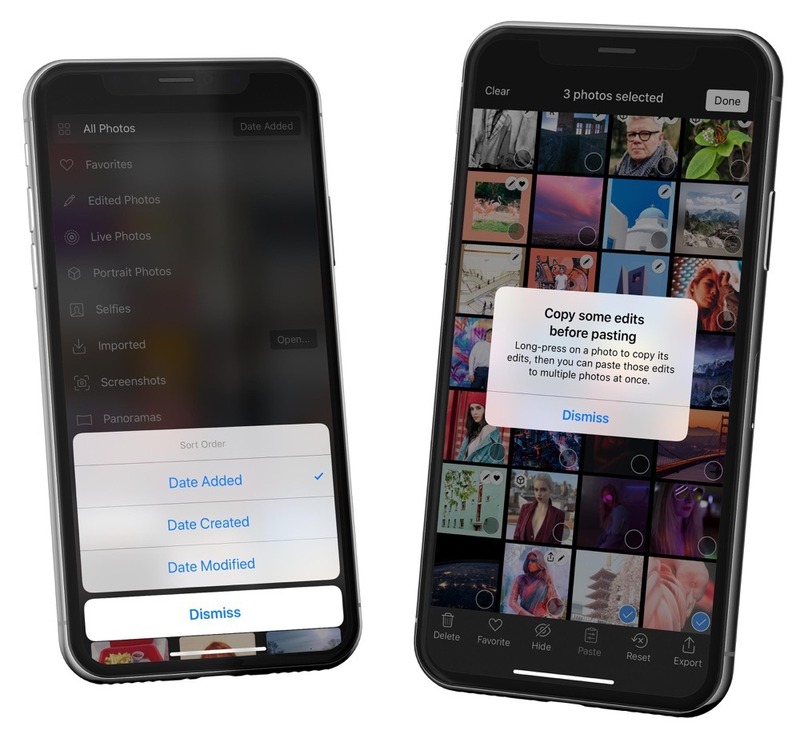 Imported Smart Album: With all the ways to import into Darkroom, the app now has a new smart album that sorts photos in the order you imported them. Sort by Date Added: Like the smart album above, you can now sort your photo library based on the day you added the photo. Screenshot are now nestled in the Screenshots smart album. 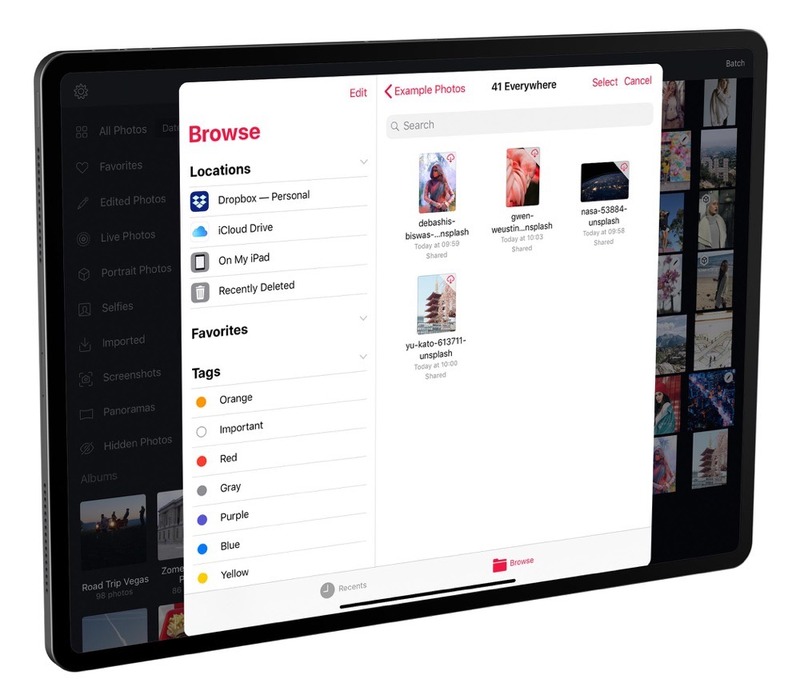 Batch Improvements: Small navigation and UI improvements have been made to the batch editing tool, which has been increasingly used thanks to the addition of Darkroom on the iPad. This is one of the best features over an app like Lightroom CC, where you can’t batch edit photos on iOS for some reason. Improved Privacy: Darkroom’s developers have now, by default, stripped location metadata from your exported photos to better protect privacy. As Instagram grows and users continue to share more and more of their lives online, this is a worthy improvement and we applaud Darkroom’s developers for taking the bold step. While there’s no reason you can’t use Darkroom for professional purposes, we expect many professionals and semi-professional photographers will still gravitate toward Adobe Lightroom CC (and Classic CC) due to their bevy of plugins, archival, preset, and workflow features. Once you go down a path of photo editing that pays the bills, it’s hard to let go. But with each new release, Darkroom continues to push the bar for what can be done on iOS. In every way where Lightroom CC falls short on iOS, Darkroom picks up the pieces. Darkroom is easily the best successor to the Photos app on iOS, and all these new features that take advantage of iOS’s core features have us itching for more. Core iOS features like Split Screen editing, Drag & Drop support, editing in the share extension, and even support for the Files app make Darkroom an increasingly must-have app for anybody who wants to get just a little more out of their iPhone photos. With the latest two updates from Darkroom (4.0 and 4.1), we’re going to have to revisit our review of the best photo editing app for iPhone — Darkroom continues to improve and seems to set a new standard every month or two. Darkroom 4.1 is a free update and can be downloaded from the App Store on iPhone and iPad.